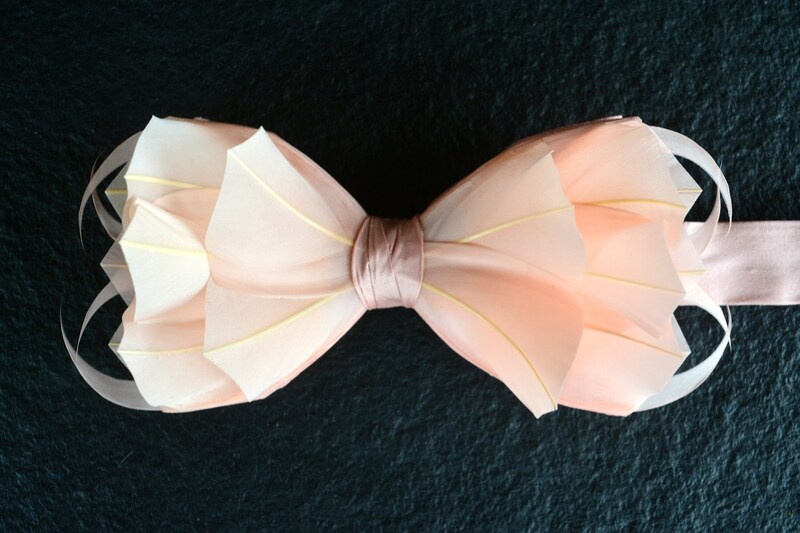 FLAMINGO Blush Pale Pink Feather and silk pocket square & matching feather bow tie. 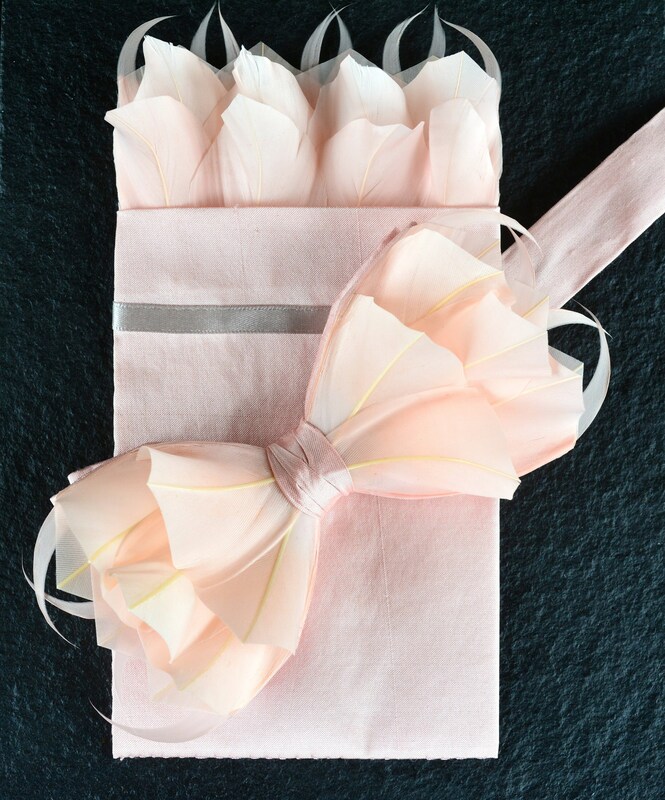 Part of the 2018 Haute Couture range, designed exclusively by plumassier artist Tracey Telford, this enchanting light, soft and rich, contemporary high design bow tie and feather pocket set stands proud and will leave you doing the same. 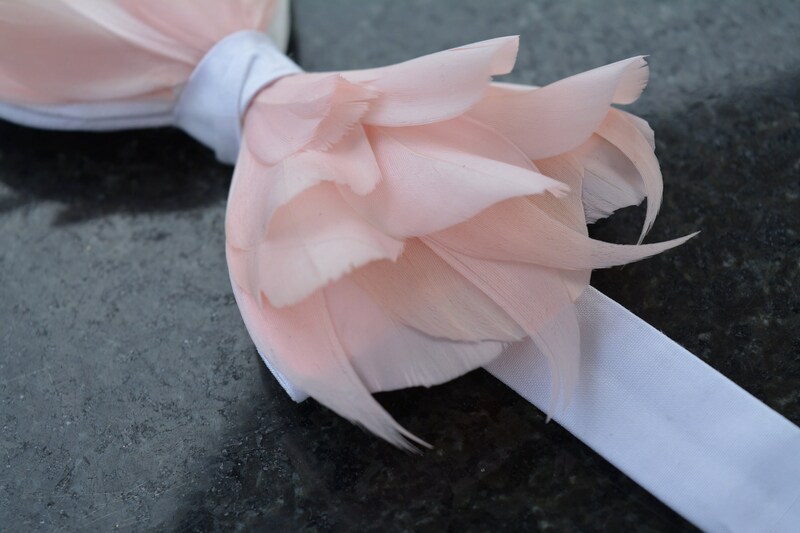 Set on a quality white or blush 100% silk base, each hand curled and individually placed feather is so deep and luxurious it appears as though velvet to both the eye and the touch. 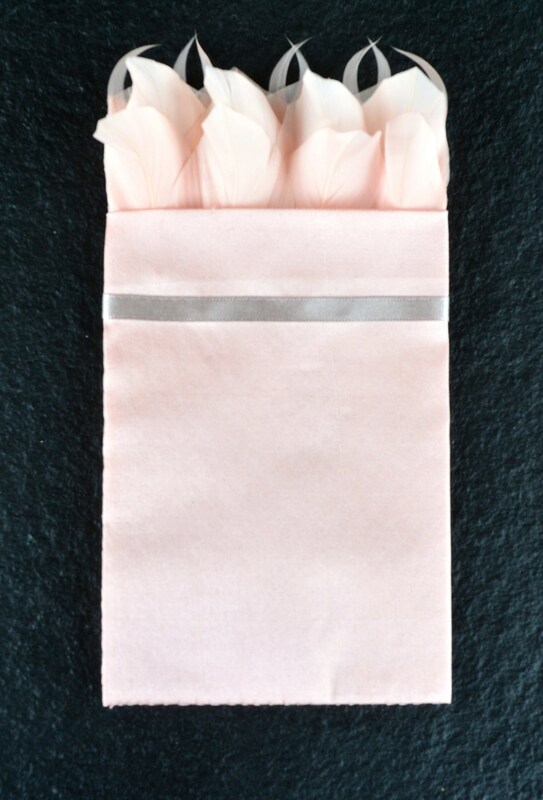 The pocket square is tailor made to fit your exact inside tux or jacket breast pocket. 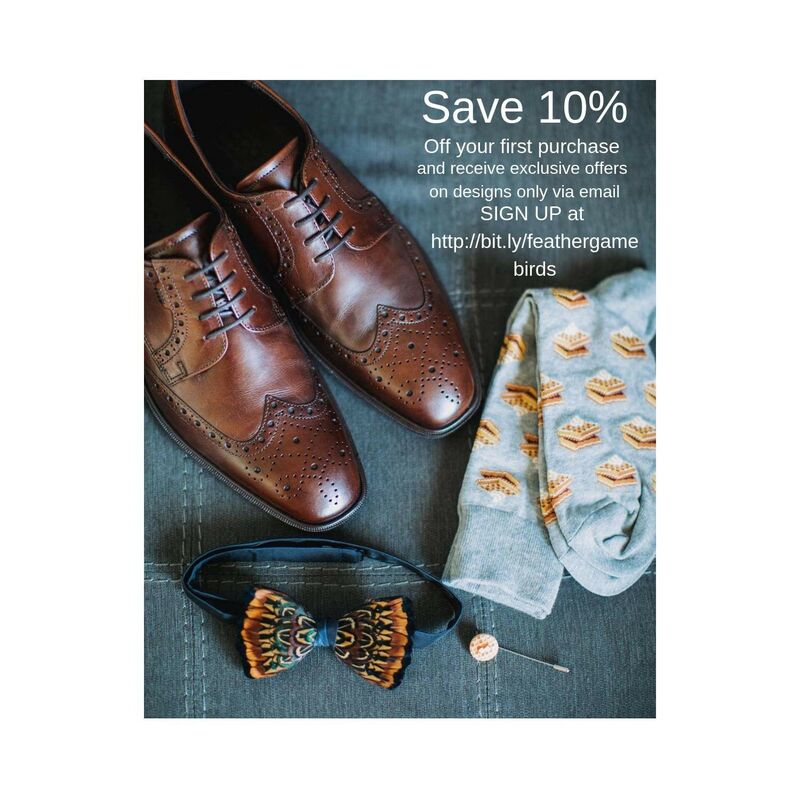 The standard width is 3.5" however, as they are handmade they can be tailor made to the exact inside width & length of your pocket for a perfect fit. They are made for a pocket depth of 5" standard. 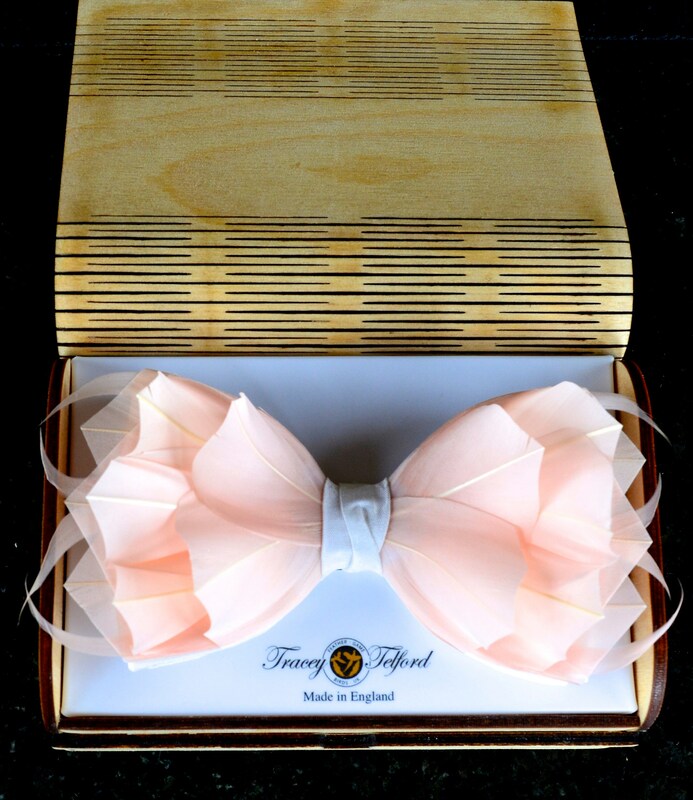 Arriving in a beautiful wooden roll top keepsake box, which can be personalised with engraving, this bow tie and feather pocket set is also ideal as the perfect gift to mark any special occasion. 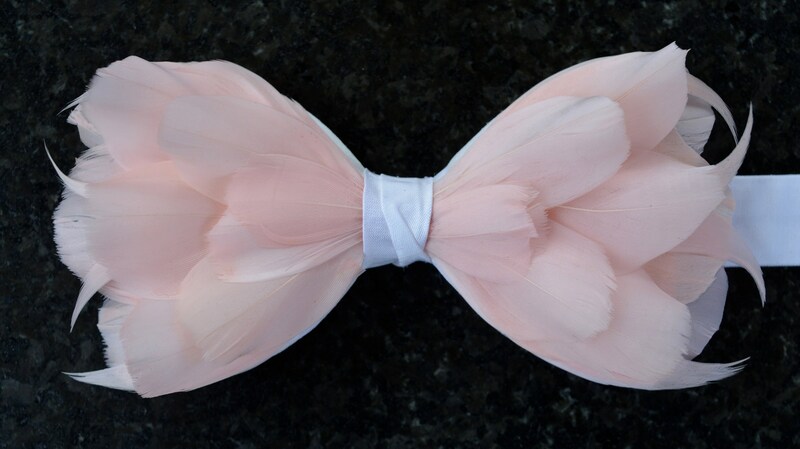 Complementing designs of lapel pins, wrist corsages, hair clips, bridal bouquets, and fascinators are also available for group events, bridal parties and collectors alike.